Being the national capital of a country as dynamic as India, New Delhi plays host to all kinds of travelers ranging from businessman to leisure travelers to political diplomats to state heads. Going with the varying status of these guests, their choice of hotel too varies as per their needs and requirements. In this post, I have listed three five star New Delhi hotels nearby foreign embassies that are perfect for international travelers who need connectivity to their country of domicile. The rule of Mauryan empire marks the golden period of the Indian history. Built on the sprawling manicured gardens of 5.5 acres, ITC Maurya is one of the most popular five star hotels in New Delhi. From the lavishly designed lobby to the plush accommodation alternatives to fine dining options, this hotel is apt for the connoisseurs of luxury lifestyle. A total of 440 guest rooms in this hotel is at the disposal of the guests. 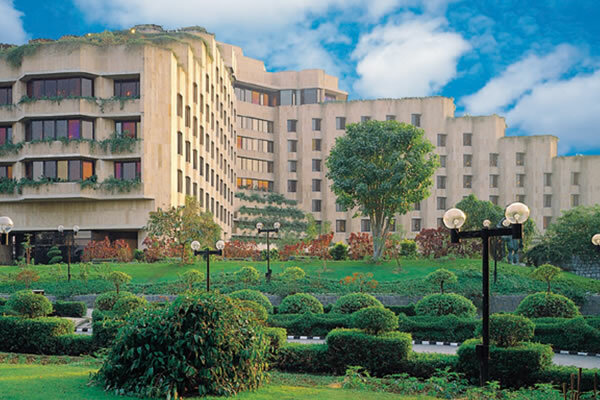 Located in the heart of New Delhi’s diplomatic enclave, amidst the lush greenery, hotel Diplomat mirrors the modern sophistication in its every aspect. Imbibed with all the elements of a boutique hotel- lavish ambience, exquisite interiors, less number of rooms and personalized services, hotel Diplomat lets you interlude in the best way. All the 25 guest rooms and suites of this hotel exhibit elegant décor and state of the art amenities. Especially the suites are tastefully done with silk upholstery and large paintings. Adding to the plush accommodation is the elegant restaurant ‘Olive Beach’ designed in classic blue and white color. The food menu of this restaurant features an array of delicious Italian cuisines to appease the guest’s palate. It wouldn’t be an overstatement to say that no other hotel than the Ashok epitomize the traditional grandeur & hospitality of this capital city. 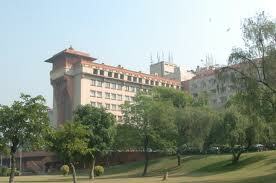 The Ashok has earned the distinction of being the first five star hotel in New Delhi. It is located in the diplomatic enclave ‘Chanakya Puri’’, which is home to many political personalities and foreign embassies. Sprawled amidst 25 acres of landscaped greens, this red sandstone building comprises of 550 well appointed rooms divided into 4 categories such as Executive Rooms, Double Suites, Deluxe Suites and a Presidential Suite. 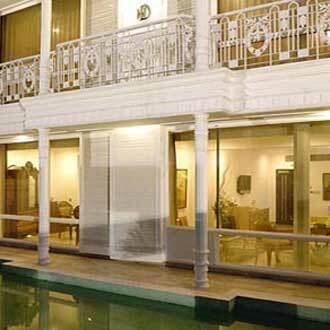 The hotel is also home to the famous Amatrra Spa, which spans over a whooping 20,000 square feet. The above mentioned three hotels are listed among the five star luxury properties standing in the diplomatic enclave of New Delhi. The proximity of these hotels nearby the foreign embassies allows international guests to stay connected to their home country.